Feel the need to get away from the hustle and bustle of everyday life for a little while? 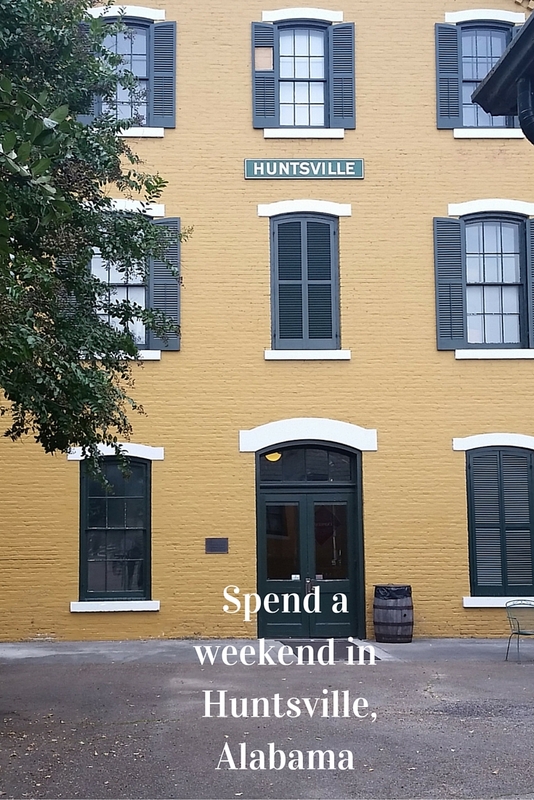 Huntsville, Alabama offers Southern hospitality with a splash of family friendly activities to enjoy. This little town is quickly expanding to become a fantastic getaway for families! My family and I recently packed our bags for a long weekend away. It couldn’t have come at a more appropriate time, with all of the commitments that have over extended my little family! Our criteria for a long weekend away was simple. It needed to be fairly close to home and in a location packed with fun and educational things to do. Huntsville, Alabama fits all of those criteria and more! It turned out to be a one tank of gas trip to and from our home in Louisville, Kentucky and was just under a five hour drive. 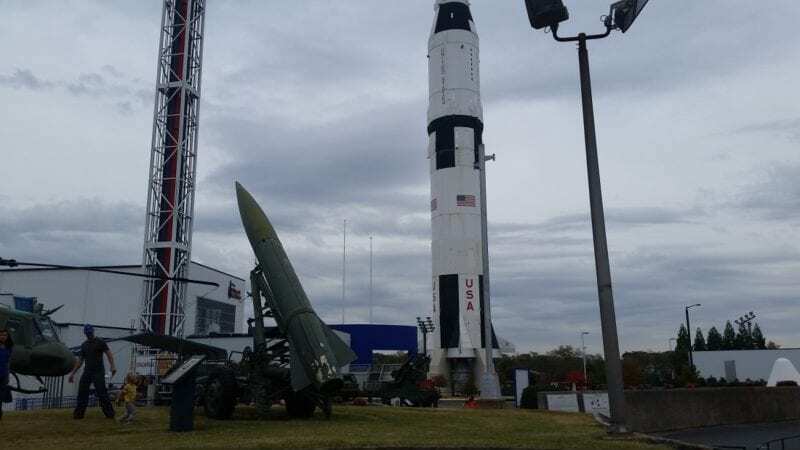 Huntsville has some fantastic museums that can’t be missed when you visit the Rocket City! 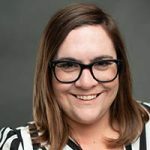 The EarlyWorks family of Museums is a great places to start your adventure. The three museums offer wildly different experiences but all three are suitable for families with kids of all ages. The first of the museums that we visited was the Alabama Constitution Village. This village has several historically accurate buildings, like a blacksmith shop, a ‘necessary’ house, slave quarters and the cabinet shop. I didn’t think that we would be able to get my husband out of the cabinet shop! There were all sorts of time period appropriate tools that were demonstrated to us, along with toys and beautiful pieces of furniture. 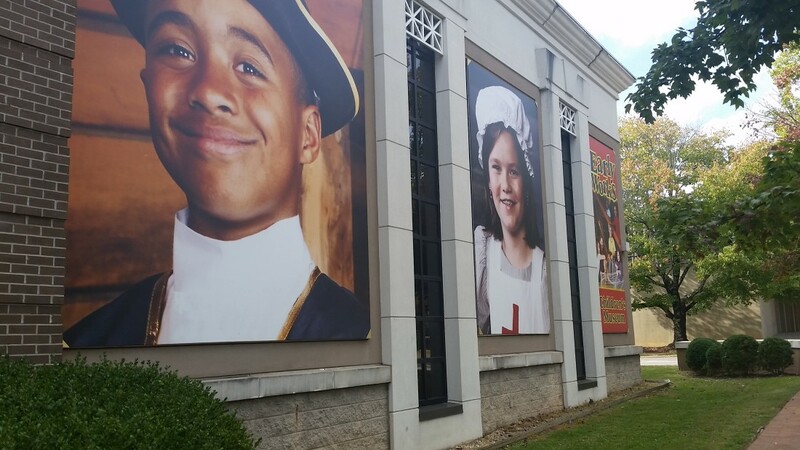 Just across the street from the Alabama Constitution Village is the EarlyWorks Children Museum. This museum is a very unique history museum for children. This is due to the fact that touching and exploring the exhibits is absolutely encouraged. There were so many interactive exhibits, like the storytelling tree, Biscuit’s Backyard, and the construction area. Any place where I don’t feel the need to keep my four and six year olds under my thumb is a smashing success in my book! 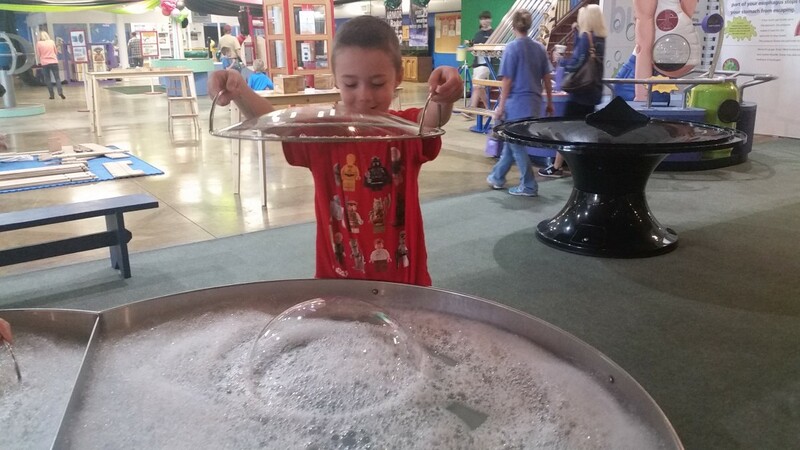 While we are on the topic of hands on museums, Sci-Quest is a children’s science museum that my kids loved! This museum is filled to the brim with a huge variety of science demonstrations that children are encouraged to be hands on with and learn! My boys really loved the huge Operation game, and had a blast pretending to be weather men in the green screen area. Quite possibly the highlight of the trip for my 4 year old was the Train Depot. This museum is very unique in that the yard with the train cars is open to the public (and little explorers) and doesn’t require a fee. There is a children’s play area that does cost and the option to take a tour of the depot’s main building. Trust me when I say TAKE THE TOUR! We had a fantastic tour guide, who was very knowledgeable and extremely entertaining! The tour typically lasts for an hour and the hour flies by; however, the length can be tailored if needed. The botanical garden in Huntsville is absolutely amazing! We visited on a day that a Halloween event was happening, which added a lot to our visit. However, we loved exploring the gardens before that event started. I would spend my whole day reading a book in the hammock garden. My kiddos are still talking about how much fun they had on our trip down South. 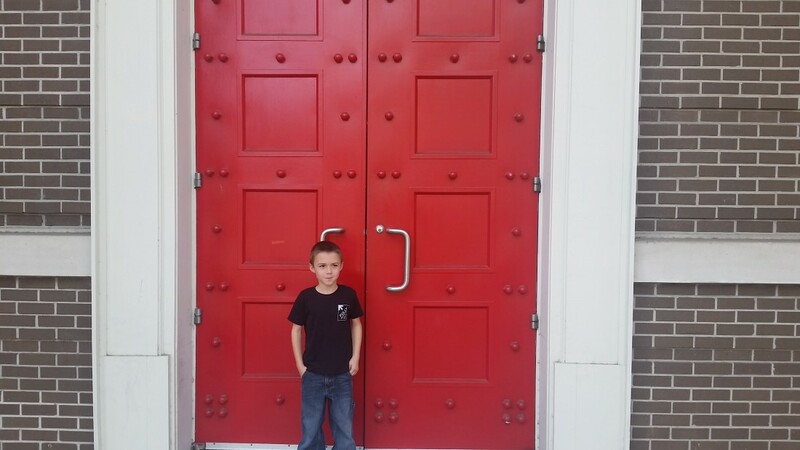 I loved that there were so many educational things to do and see while we were in town that I had no regrets about taking the kids out of school. It was a very easy drive for us to make, and we were not so worn out from the drive that we weren’t able to enjoy the first day in town. If you have a chance to visit the Rocket City I highly recommend taking the time to do just that!